Our big advantage? We made sure you don’t have to go far to live in an apartment that is miles ahead of the game. In fact, The Maxwell has some of the best-located Arlington apartments for rent near major employers and plenty of retail. Need groceries? Down the block and waiting with the gourmet and the everyday is—Harris Teeter. Feel like shopping? Across the street with dozens of stores is—Ballston Common Mall. Want a night out? Experience a neighborhood that is overflowing with restaurants and bars including World of Beer, Rustico and Willow Restaurant. Need a ride? 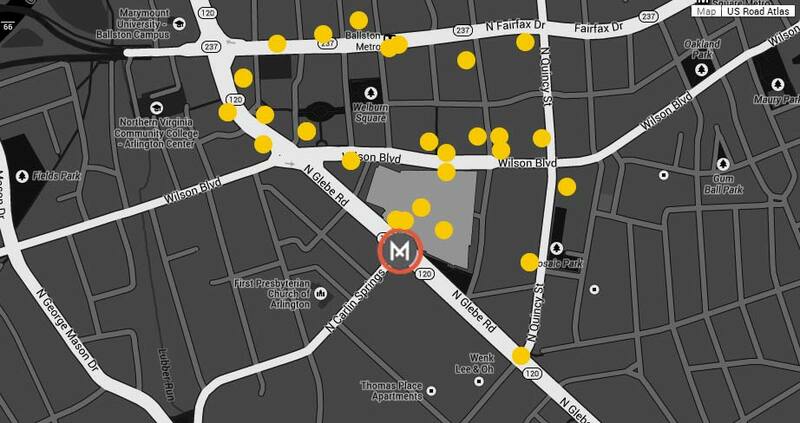 The Maxwell is less than half a mile from the Ballston Metro and within a quarter of a mile from eight bus routes, including direct bus service via Metrobus 25AB. Plus, Capital Bikeshare™ and Zipcar® offer even more ways to get around. At The Maxwell, you can have it all. Originality and centrality. Two more advantages that make us different.